Let me recount one of my most memorable singing moments: The CBC Choral Competition 2004. Every other year the Canadian Broadcasting Corporation hosts a choral competition for choirs from all arenas from Children to Church. All the choirs send in a set of one-take recordings of A Capella pieces to the CBC competition. The recordings go through multiple levels but, ultimately, what results is the final round of the competition where the final choirs compete on live, national radio and are immediately adjudicated and the winners are announced live. The first year I was in Chamber Choir the CBC 2000 competition was the only thing we did not win first place in. The Kiwanis local, provincial, and national competition we won first place but we only received 2nd place in CBC. We were content with this fact since it was our first year and we were proud of what we were able to achieve. However, the second time the competition came in 2002, we performed well enough to win first, but we received second. O.k, sure, so I could have looked at this positively and have seen the situation as "We won second place!" but who am I kidding? We wanted first place and we deserved it, I am not going to play psychological tricks to make myself feel better. There are a lot of variables that come into the equation during a live radio performance. Our rival choir was singing within the CBC studios in Toronto and we were in a downtown Edmonton church. As much as they try to make things fair, there are going to be differences and unfortunately, we felt that the recording that they got of us did not accurate reflect our sound. The sound techs physically separated the two microphones and placed them on each end section of the choir. Thus, you can imagine that the only sounds that were heard were from either end of the choir and it really picked up the individual voices from those ends as well. However, CBC 2004 was our year. Since Chamber Choir consists of singers with a wide variety of ages, we were able to enter the Children's Choir category and the Youth Choir category. We just had to have older choristers sit out for the Children's Choir category and have the young ones sit out for the Youth Choir category. I don't recall exactly what we sang at this point. I have done so many of these competitions that repertoire lists all running together in my mind. What I do remember is singing Kaipaava and feeling the musical energy of the choristers surrounding me. 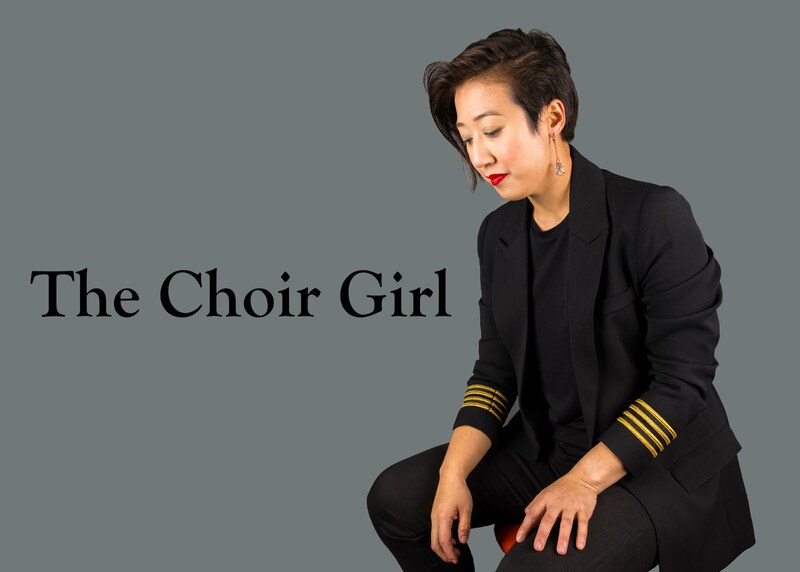 There's a point when everybody in a choir is so focused on the performance that they are investing every particle of their being to produce a truly musical performance. The point where these intensity frequencies align is when there is a burst of musical epiphany. It is the point when you are so in tune with other choristers that you can feel the person at the end of the choir breathe and when you take a breath you feel that you are apart of a massive entity. The performance fear and competition stress melts away and something absolutely magical happens: you transcend the physical performance and you experience the music-making from a non-physical plane. It is as if everybody is just working together to weave together a musical fabric using gold threads and when the tapestry is finished and is exposed to light, there is a overwhelming gold gleam that radiates from the fabric. This explosion of light is equal to the musical climax achieved through our performance. It is something that is so hard to describe, it truly must be experienced to understand, but this was one of the first times I had the chance to experience it within a choral performance. It is such a musically energetic high and it is so addictive. I find that I am still singing because I am trying to seek out that next instance where I can feel that explosion of musical energy. As you can probably tell by now...I'm addicted to choir. Any performance after that experience is just a desperate attempt to recreate the energy felt during that first performance. I am grateful to say I have experienced it since (for future posts) but it is something that is so hard to come by and choristers search the rest of their lives to feel what they felt during that defining moment. It is a matter of everything being perfectly aligned in that one moment. It occurred with a particular set of singers, in a specific context, under specific conditions. It can never be perfectly replicated but, as choristers, as search for that next musical drug fix. In closing, I have posted a clip of that very performance of Kaipaava since it was captured on radio by CBC. Posted below is that performance immortalized within this digital sample. Sure, when I listen to the performance now, I can hear that it was in no way a perfect performance, however, the musical connection I felt with every single chorister was perfect and I would not trade it for anything.